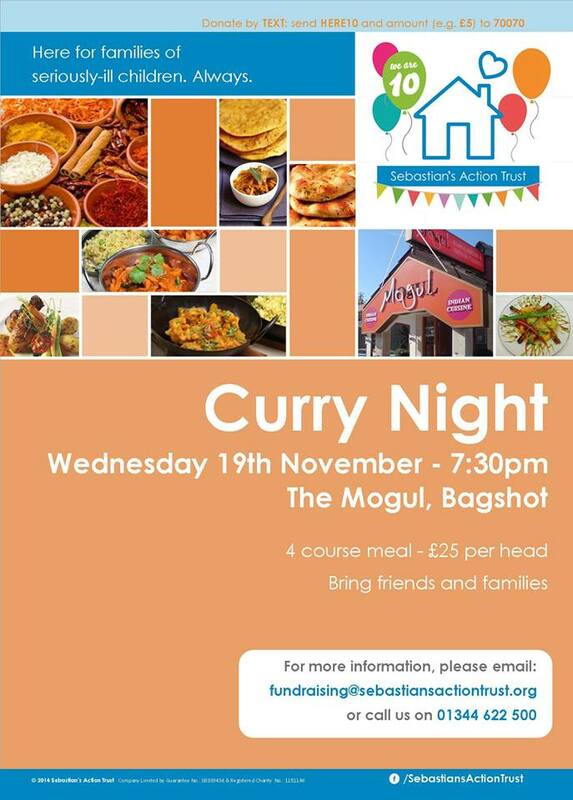 Join us at our next Curry Night on Wednesday 19th November. As the night’s are drawing in, why not bring your friends and family to our Curry Night at The Mogul in Bagshot, where you can enjoy a four course meal at a great price of £25.00 per person. You can also take part in a raffle on the night, raising funds for your local charity whilst enjoying great food. To book your place, please call 01344 622500.